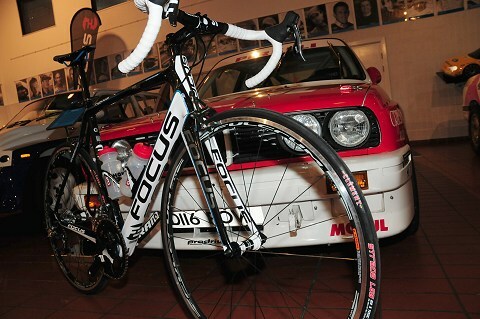 First seen being assembled in the Twenty3c bike shop at Stony Strattford (near Milton Keynes), the FocusÂ Izalco Pro was presented to the public at the team launch. 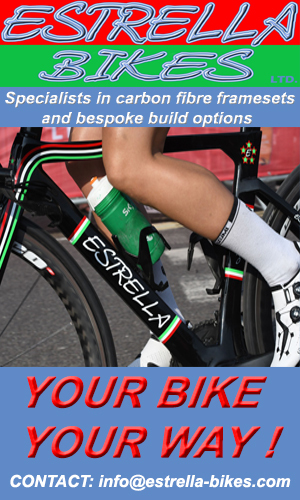 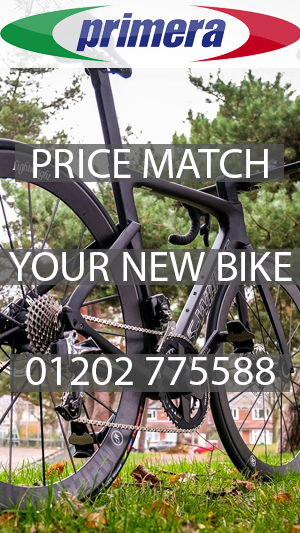 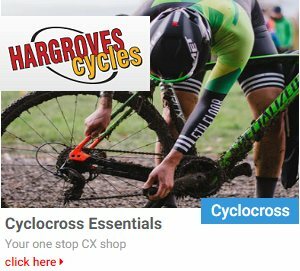 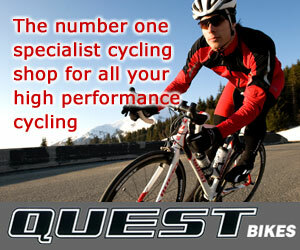 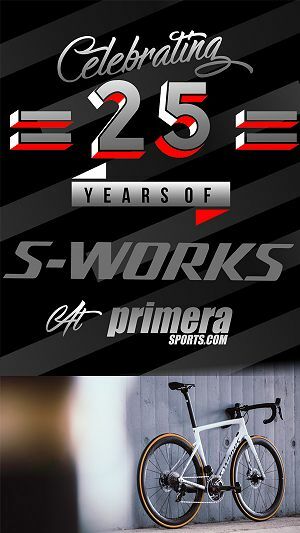 The bike is available from Twenty3C which has both a shop and a website for customers to purchase items from. 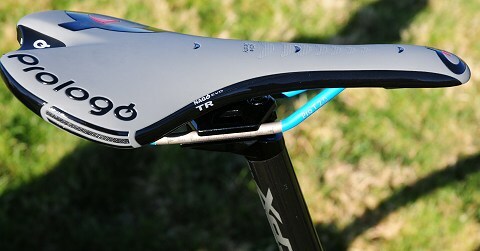 Seatpost is a Focus Concept CPX Carbon with aÂ Â Prologo Nago Evo TR saddle. 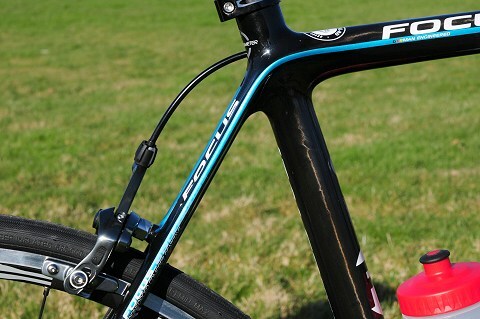 Wheels are Fulcrum CEX 4.5 withÂ Clement Strada LLG 700×23 tyres. 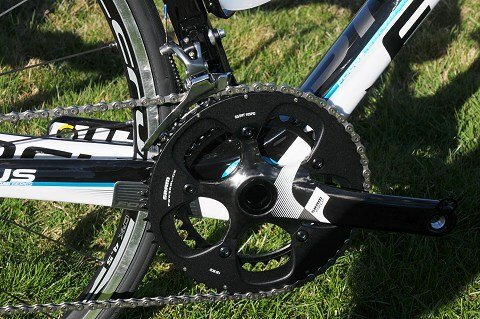 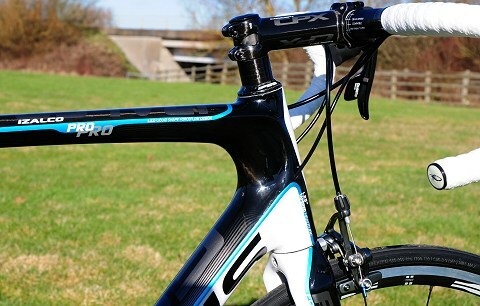 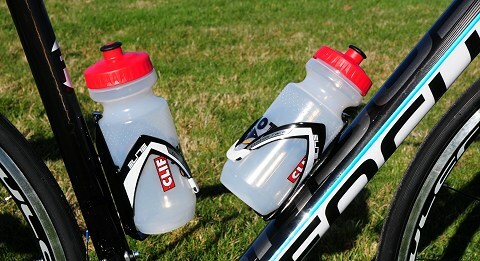 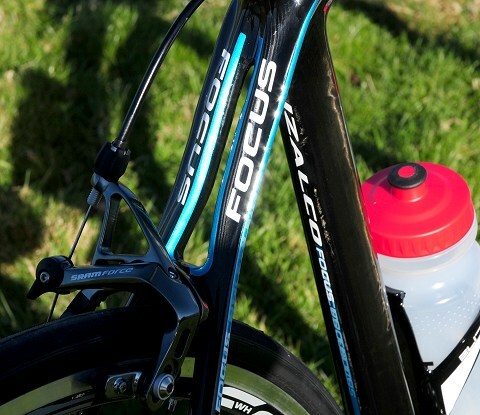 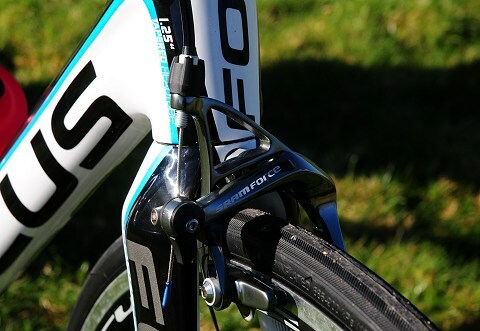 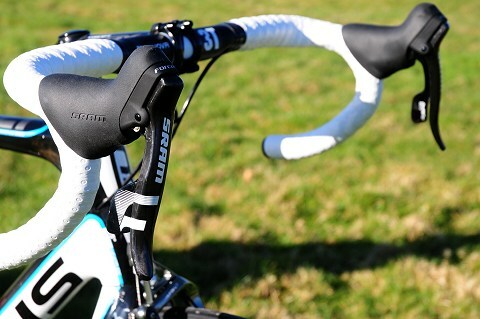 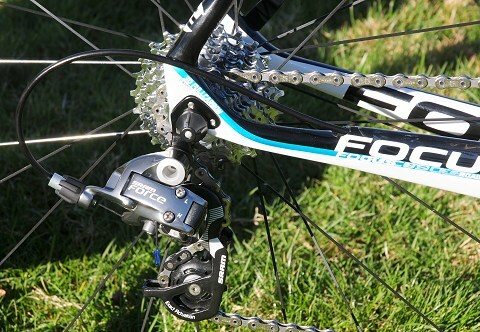 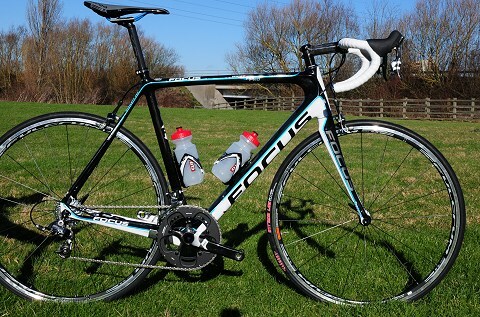 SRAM Force 2013 groupset helps keep the weight down to provide a Pro quality bike at a good value price. 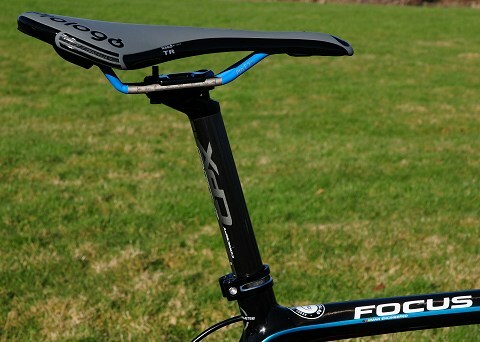 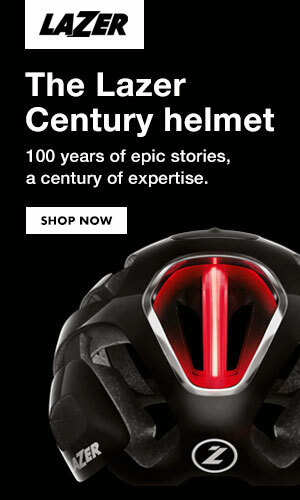 Â Prologo Nago Evo TR saddle.